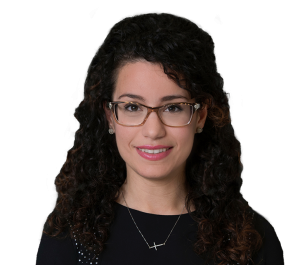 Mariane Gabros began her career as a case coordinator for veteran medical claims in 2010, where she gained extensive knowledge in medical terminology and worked directly with veterans and medical providers. In 2012, she worked as a paralegal at an insurance defense law firm in Philadelphia and later transitioned to a boutique law firm that handled zoning, personal injury, corporate, patent, and employment law. Mariane later gained experience handling family and construction law. Mariane earned her B.A. from La Salle University, majoring in Psychology and minoring in Criminal Justice. She earned her paralegal certificate from Villanova University. While at La Salle, Mariane spent time volunteering for the Police Athletic League with kids in a local after school program. She also hosted a week of alcohol awareness that included a black-out day and a Mothers Against Drunk Driving (MADD) walk.